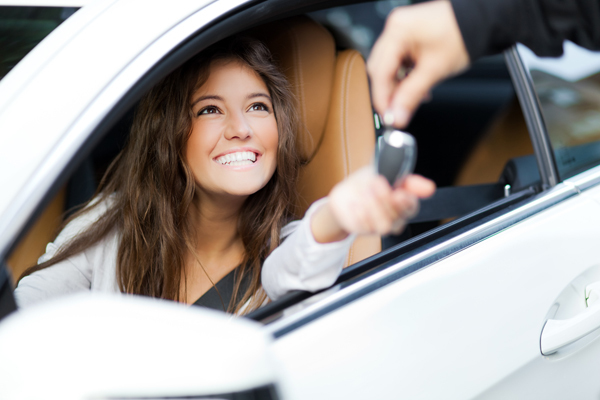 Buying a used car allows you to save money, buy a tested and reliable model year, and possibly the ability to buy a fancier car than you could afford otherwise. Before buying a used car ask the bellow 10 questions to assure your purchase is a good one and you are not rushing to the mechanic for radiator replacement, self-motor service or car air conditioning repair in Alexandria the very next day. After finding a reputable seller with a car you want to purchase, ask the following questions. Ask why the seller is selling the car or about its history. This lets you get a little background information on the car itself. Now a professional seller may not have much personal information but they can tell you where a car came from and its history. A private seller gives you a chance to see if they’re being honest about why they’re making a sale. Ask if the paint job is the original factory color. This is a great lead off question because it allows you to see if a car has been heavily modified or had a lot of repairs or replacement parts. Ask to see the car on a lift. Simply this lets you inspect the underside of the car. Look for leaking fluids, worn out tubes, frayed cables, or rust to the body. While some minor upkeep is expected, heavier damage (i.e. rust) could be a sign of future repairs. Ask to check the oil. This lets you check for other issues. Fuel in the oil points to leaking in a valve, gasket, or a line while a tan foam points to a coolant leak. White foam indicates moisture or water leaks. All of these are signs of underlying issues. Ask about the last owner. You can tell a lot about a car by checking the ownership history. A car that was owned by a mechanic for example and has an extensive maintenance history points to a well maintained automobile. Ask to see the title. This is simply for safety’s sake. A car without a title results in a multitude of issues when you’re trying to get it registered in your name or simply get insurance. If the seller doesn’t have the title on hand, don’t make the purchase. Ask to run a VIN check. A quick background check can tell you if a car’s been involved in accidents, been salvaged, or if it was ever a rental car. Now such reports are not infallible however, they tell you a lot about a car’s history that may not be readily apparent. Ask to read the maintenance history. Related to the above question, a car’s maintenance history can tell you a lot of valuable information. This includes repair history, major damage, and regular upkeep. Ask to take it for a test drive. A quick test drive can tell you a lot about a car. Important issues such as performance, a transmission that sticks, rattling, or broken instrument lights all become apparent relatively quickly. Lastly, ask if you can take the car to your mechanic. Getting your regular mechanic to inspect a car will tell you exactly what its condition is, any existing problems it may have, and in some cases about potential problems in the future. As you can see buying a used car requires careful questions and research. But by asking the 10 above questions you will be properly informed about any used car before you buy it.